Revitol+ Beard Grow Spray , unique blend of effective natural ingredients extracted under high tech engineering for stimulating hair follicles to ensure the most effective and rapid beard growth. 1- Clean and dry the area you wish to treat.2- Massage ? 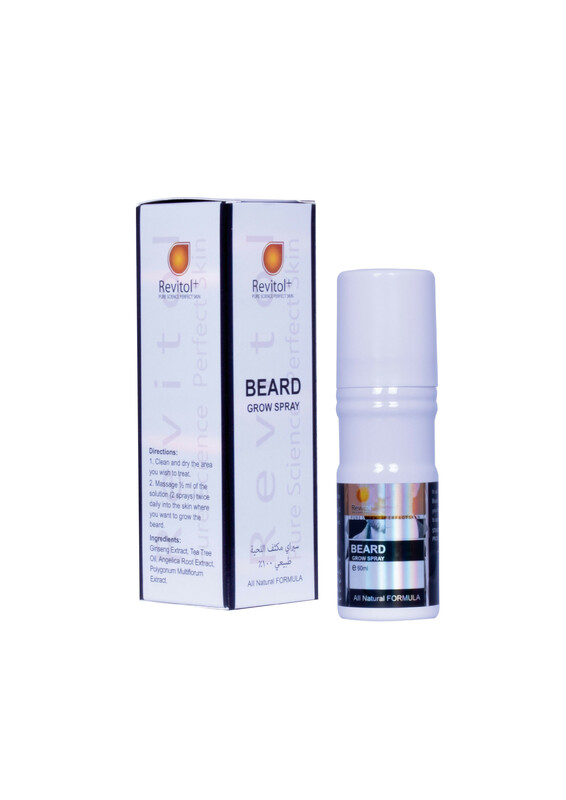 ml of the solution ( 2 sprays ) twice daily into the skin where you want to grow the beard. Used to intensify beard and growth.